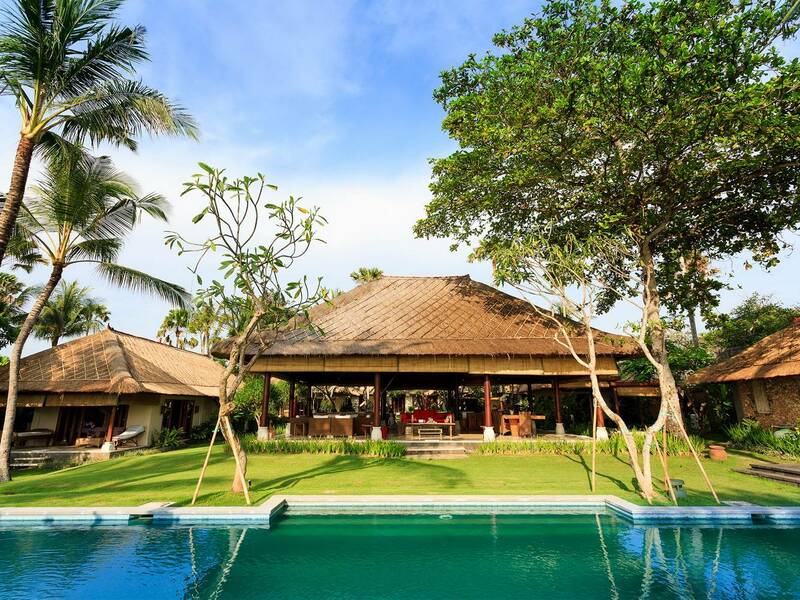 Villa Maridadi is what dreams are made of: incredible ocean views, stunning sunsets and luxurious open-air living amidst vivid green rice fields and rustling coconut palms. 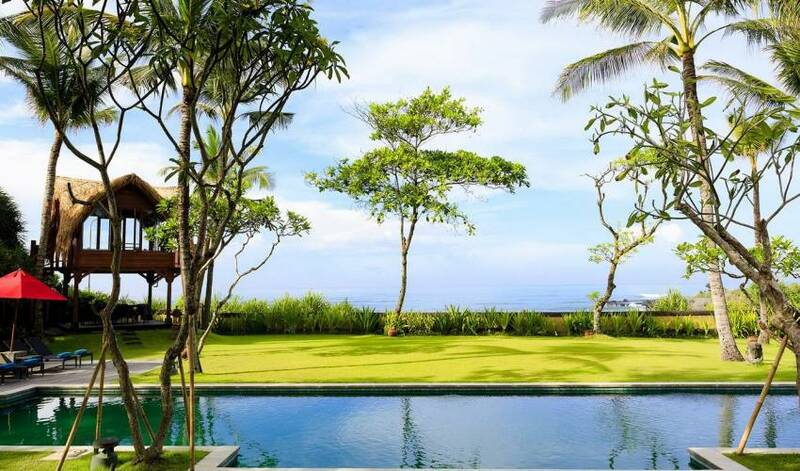 Just metres from Cemagi’s black sandy shores and the revered sea temple Pura Gede Luhur Batungaus on the island’s south-west coast, this five-bedroom villa with 20-metre swimming pool embraces peace and tranquillity offering real insight into Bali’s traditional way of life. 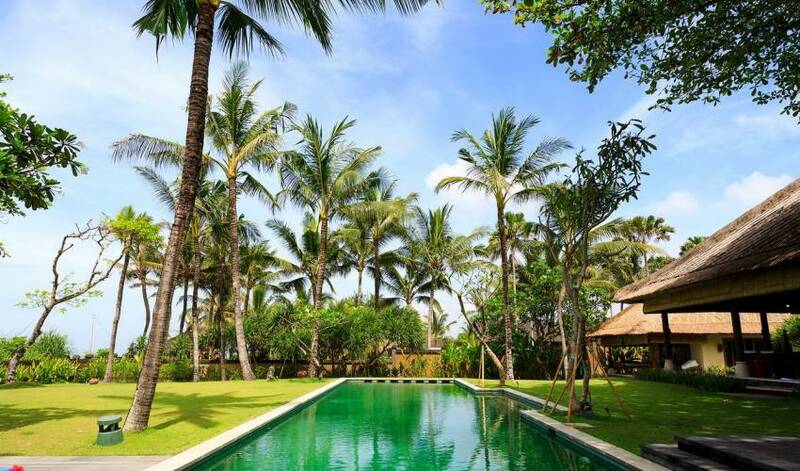 Enhanced by warm hospitality and classic Balinese architecture, this relaxed and comfortable home is the perfect place to unwind, slow down and disappear into a secluded paradise. 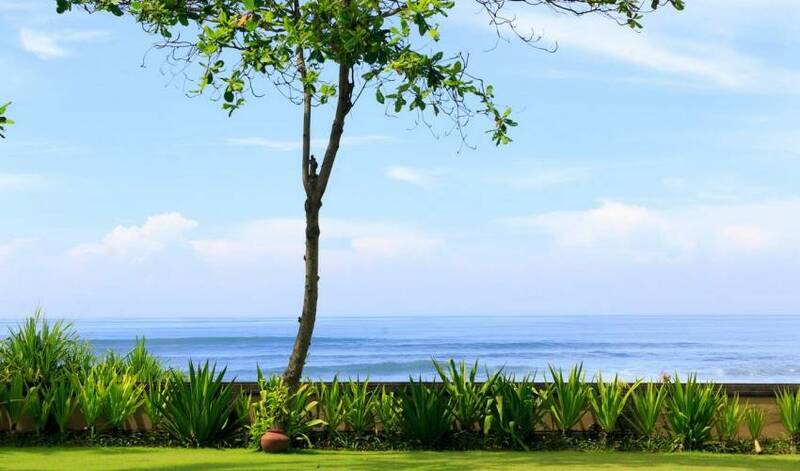 Fall asleep to the soothing sound of the waves and awaken to a private oasis – a stay here is an experience you’ll never forget. 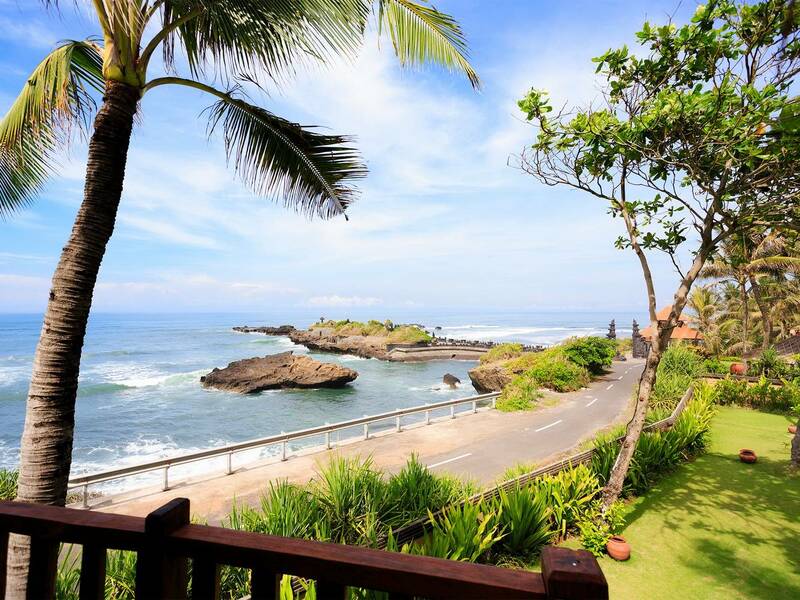 Set on 5,000 square metres in the sleepy seaside village of Cemagi on Bali’s south-west coast this family style villa offers an authentic Balinese experience. 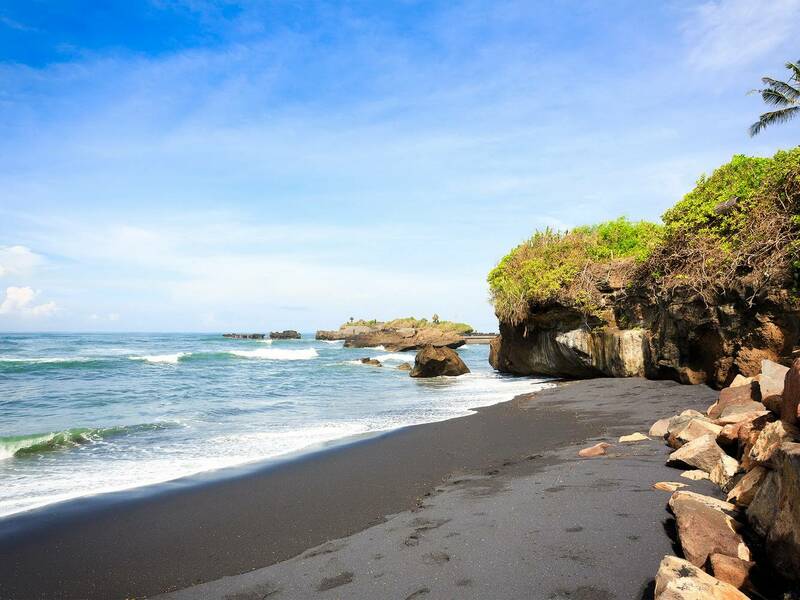 Bordered by rice fields on one side and glistening black-sand beaches on the other, and with the sea temple of Pura Gede Luhur Batungaus punctuating the horizon, guests here are not only treated to stunning panoramas but also to the most enchanting and exotic of Balinese traditions. 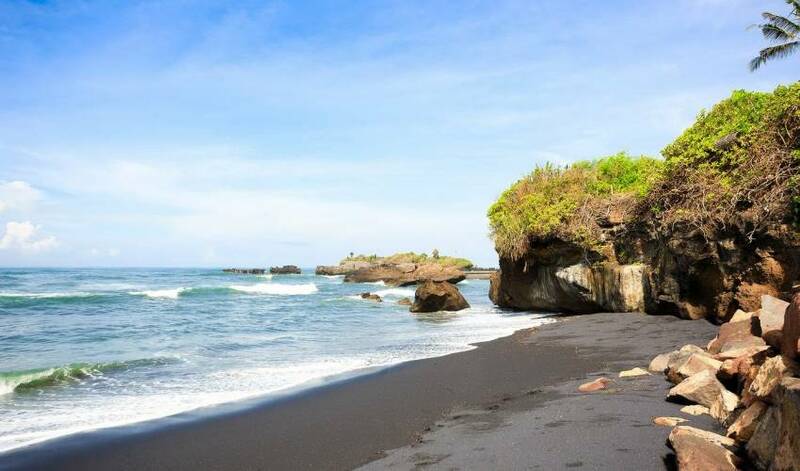 It is through observing the rice farmer tending his fields and witnessing the elaborate ceremonial processions at the temple that the true essence of this Island of the Gods is revealed. 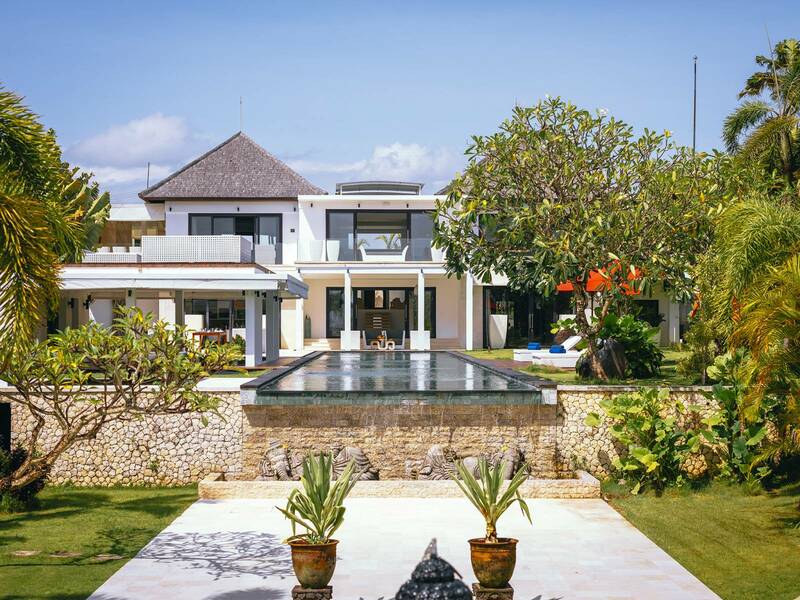 Thoughtfully designed for relaxation and comfort, this spacious and welcoming home mixes traditional architecture and artefacts with easy modern living. 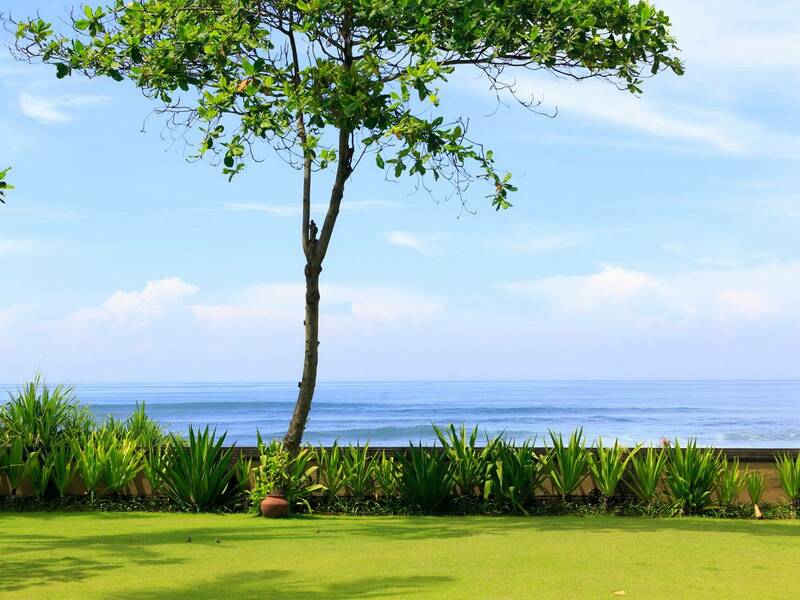 Throughout the villa, splashes of vibrant red – in the soft furnishings, the bright parasols and the magnificent flowering heliconias – contrast beautifully against the teak wood furniture and the green of the well manicured lawns. 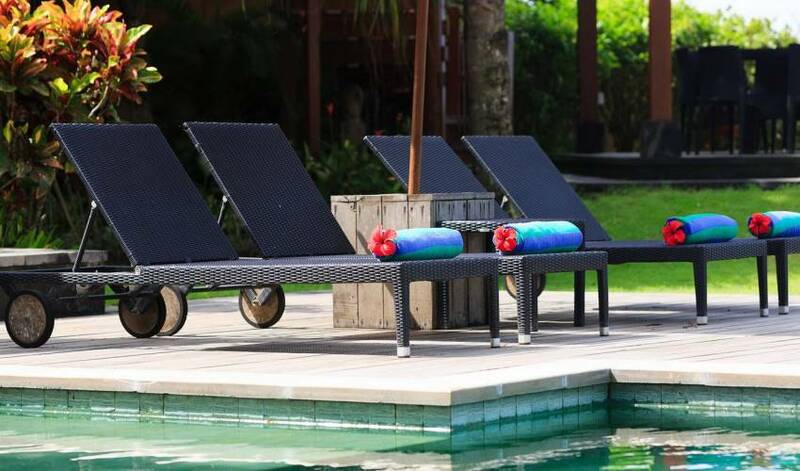 Five large air-conditioned bedrooms with luxurious garden bathrooms provide guests with total peace and privacy; two of them include twin roll-out beds, making the rooms ideal for families. 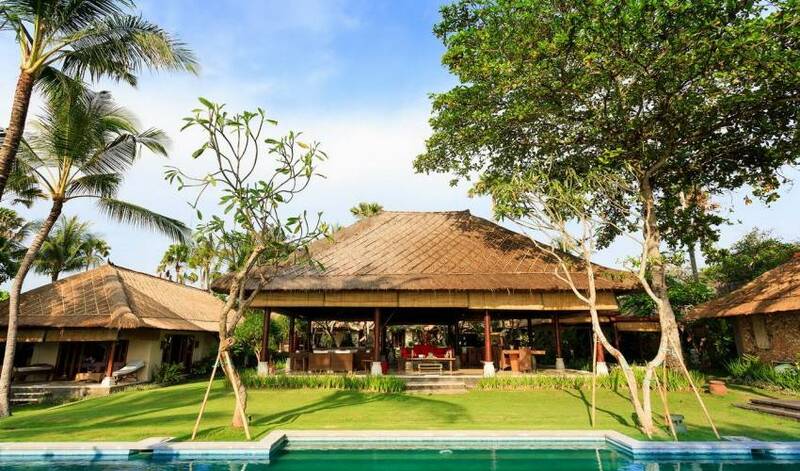 Options for leisure and entertainment are endless with a games room, shared tennis court, 20-metre swimming pool, open-sided living and dining pavilion, massage balé and an adorable thatched rice barn, or lumbung, overlooking the ocean and perfect for sunset cocktails. 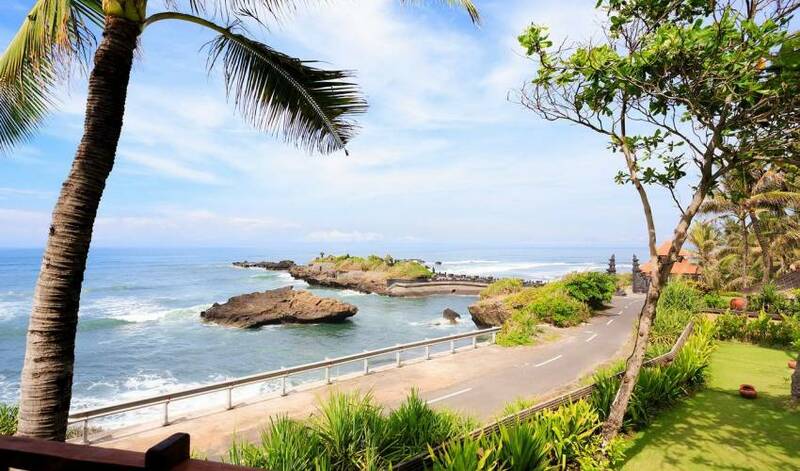 The added beauty of the villa is that although you may well choose not to leave this sumptuous oasis, the world famous surf breaks of Echo Beach, the Nirwana Bali Golf Course and an exciting choice of places to eat, drink and shop in up-and-coming Canggu are just a 10-minute drive away, while cosmopolitan Seminyak, with an even greater choice of restaurants and boutiques, can be reached in about half an hour. 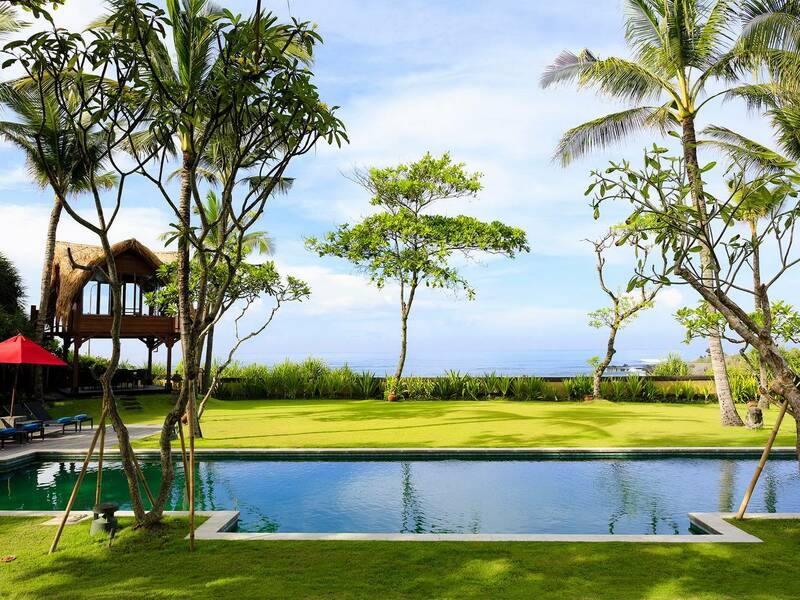 The villa's wooden Balinese doors open to reveal a seated Buddha statue holding red hibiscus flowers. Stepping stones lead guests across a fish pond full of lush aquatic plants to a paved promenade where two striking red pillars featuring antique temple windows provide a focal point. 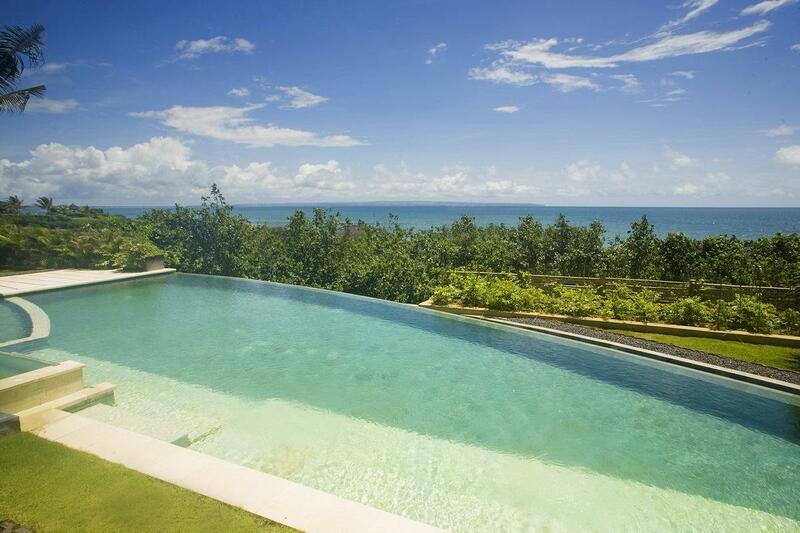 The villa's inviting 20-metre green-stone pool is bordered by natural Palimanan stone and is great for swimming laps or simply for cooling off while admiring the ocean views. 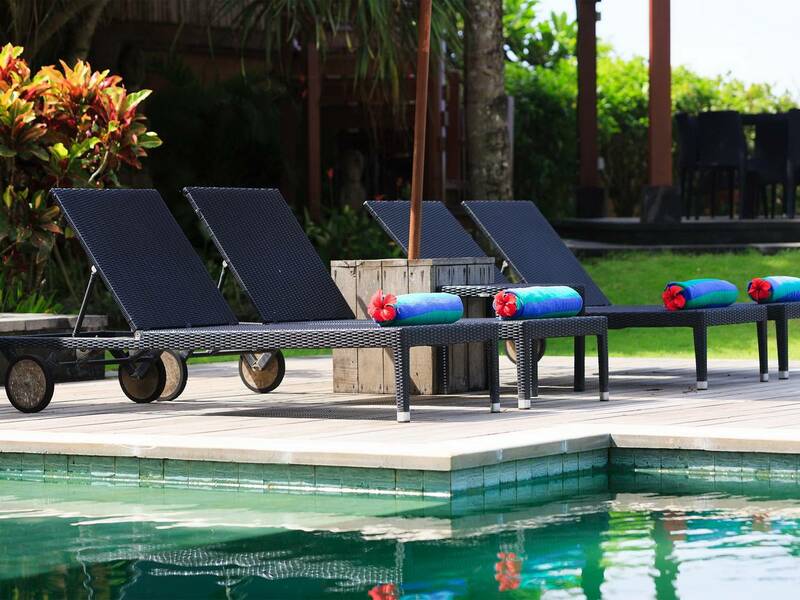 Alongside the pool a timber deck sports six black sun loungers shaded by red umbrellas and is just the place to soak up the tropical rays, while two loungers on the lawn offer shady repose. 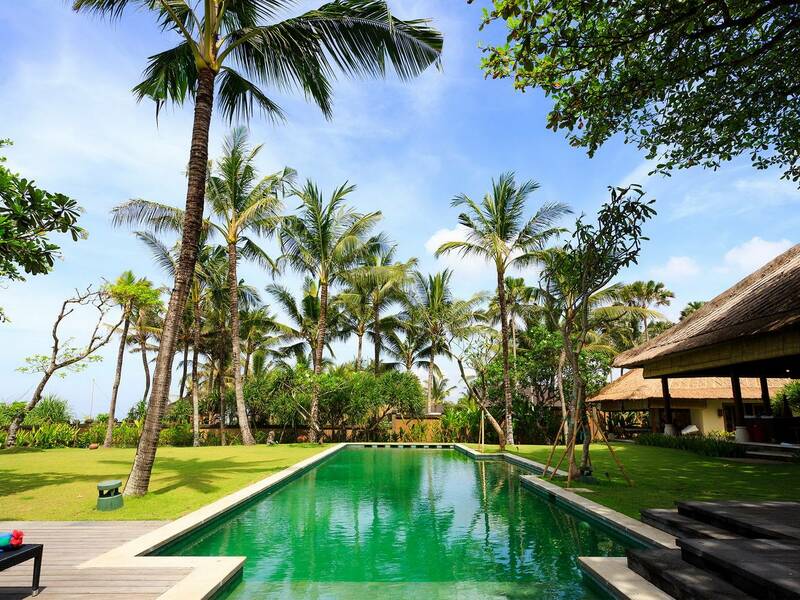 A separate washroom and outdoor shower featuring stunning antique Indian copper urns is located conveniently nearby while, behind the pool, sits a 10-seater table shaded by a red sail for alfresco dining. When romantic candlelit dinners are called for, villa staff can also set up a beautiful tent on the large lawn in front of the pool. Directly behind the master suites is a large two-storey building fitted out with a games/TV room upstairs and two guest bedrooms downstairs. Both light and airy bedrooms feature large twin beds (which can be converted into a double bed, and have trundle beds underneath) – perfect for children – and a garden bathroom with open-air shower.